Titled Sikh and Punjabi Studies: Achievements and New Directions, participants will consider and discuss the current and future state of the field. The three-day event is open to scholars and students from all disciplines--including those enrolled in UCSC's inaugural class on the Sikhs--as well as interested members of the general public. The Humanities Division conference will include sessions covering history, philosophy, language, literature, political economy, musicology, and contemporary society. UC Santa Cruz is close to the San Francisco Bay Area, which has one of the largest concentrations of Sikhs in North America. The conference especially welcomes attendance by community members. This fall quarter, UCSC has launched the campus’ first course in its new Sikh and Punjabi Studies program. 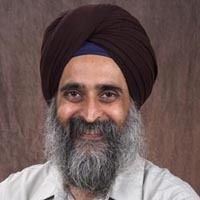 Titled Introduction to the Sikhs, the class is taught by professor of economics Nirvikar Singh—who was appointed Sarbjit Singh Aurora Chair in Sikh and Punjabi Studies last December. The endowed chair was established at UC Santa Cruz through the Sikh Foundation by Hardit and Harbhajan K. Singh in memory of their son, Sarbjit Singh Aurora. It supports research and teaching in Sikh and Punjabi studies from a multicultural and global perspective. There are approximately 20 million Sikhs in the world today, with significant communities living in the United States, Canada, Australia, New Zealand, Kenya, Fiji, Thailand, Singapore, Maylaysia, and the United Kingdom. The ancestral home of the Sikhs is the Punjab region, divided between Pakistan and northern India. Sikhs arrived in California more than a century ago, and their descendants today are engaged in activities ranging from high-tech entrepreneurship in Silicon Valley to farming in the Central Valley. The UCSC conference begins with a welcome dinner at the University Center at 7 pm on Nov. 10, and concludes with a closing diner on November 12 at the Cowell Provost House. 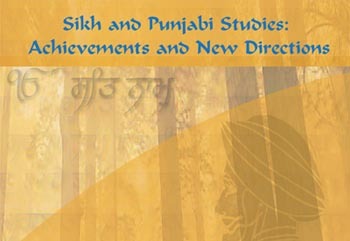 Registration is required at: http://ihr.ucsc.edu/sikhstudiesconference. For more information, including disabled access, contact Courtney Mahaney at the UCSC Institute for Humanities Research, cmahaney@ucsc.edu, (831) 459-3527.